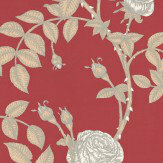 A beautiful intricate rose floral trailing. Shown in neutrals on a red background. More colours are available. Please request a sample for true colour match. 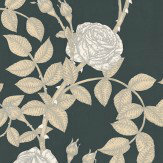 A beautiful intricate rose floral trailing. Shown in neutrals on a black background. More colours are available. Please request a sample for true colour match. 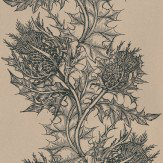 A stunning intricate pineapple fruit trailing plant design in a hand drawn effect. Shown in shades of grey on a cream background. More colours are available please ask for details. Please request a sample for true colour match. 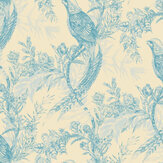 A beautiful intricate floral trail and Pheasant design in a hand drawn effect. Shown in blue on a cream background. More colours are available please ask for details. Please request a sample for true colour match. 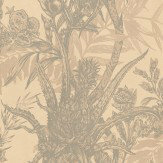 We are delighted to bring you this small selection from the reknown design house Timorous Beasties. 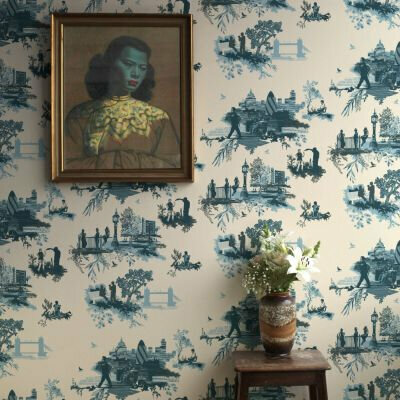 Original and intricate designs including Pheasant, Insect, the McGegan rose and the ground breaking, beautiful London toile with its unusual, edgy, contemporary interpretation of a traditional pattern. More designs available, take a look here now.